I snagged this picture after the dust settled from Jeromy, Craig and Travis‘s afternoon brain storm. 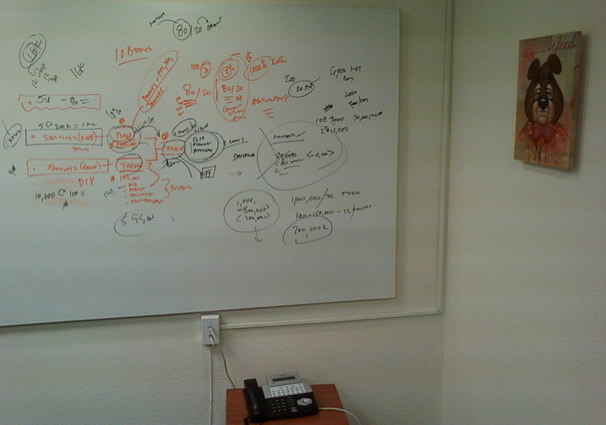 Still life: white board madness + John GoodBear. Do you like it too?